Does your family regularly participate in weekly meals? When I was a child, I knew that some days of the week we would be graced with tacos…or spaghetti…or burgers. And as a child, I think there is nothing more exciting than expecting to have one of your favorite meals each week! Try using LOW FAT sour cream and cheese. This can help cut those unwanted calorie intake in almost half! 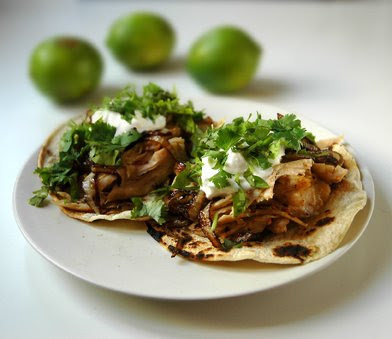 Try using soft tortillas and try to use WHOLE WHEAT tortillas instead of the traditional shells. Have you ever considered using ground turkey meat instead of regular meat? If you do not like turkey meat try to get LEAN hamburger meat. Try to measure out correct portion sizes for your tacos/taco salad so you are sure to not double the food you are supposed to consume for the meal! try to limit or cut out guacamole! Yes it is healthy for you but it packs a lot of calories! Think about using shopped baked chicken or shrimp instead of beef! 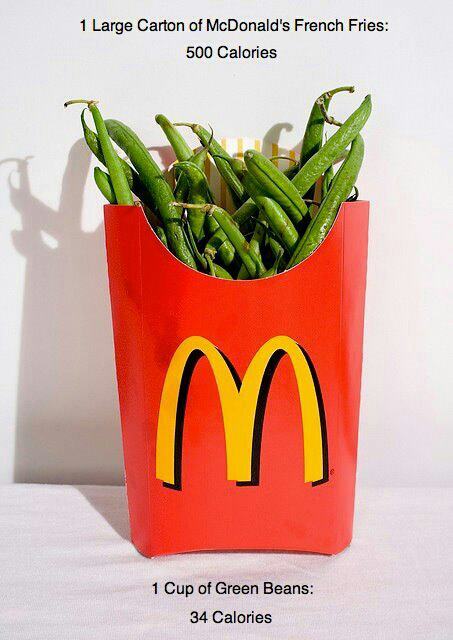 Still want chips with your meal? Try to make your own! Get a normal round tortilla, lightly spread some olive oil on top, slice the tortilla into the desired chip sizes you would like, then sprinkle it with sea salt (or any other spices you may have). Put your over on 350 degrees. Place your tortillas in the over for about 15 minutes. MAKE SURE TO WATCH IT! They get brown pretty quickly. You can let them get as brown as you would like before they burn (the browner they are the more crunchy they are!) Take them out and let them cool for about 10 minutes, and you have healthier “chips” for you to enjoy with your meal. There are a lot of things you can change or add to make your family meals a healthier meal! You just have to be mindful of the ingredients you are using and learn what to substitute to help make it taste just as yummy as you would like! You do not have to sacrifice good tasting food so you can eat healthier! There are SO MANY healthy and delicious snack options for you out there! The Key to being successful with obtaining your health and fitness goals are a mixture of a steady workout plan and eating right! You have to learn how to control your portions and how to eat correctly! If not, you will not start to see the results you are looking for! Yes it will be hard…and yes it will take a little time to get use to saying no to those potato chips and yes to some fruits or vegetable. But in the end it will be worth it! REMEMBER! Your snacks should be around 300 calories. 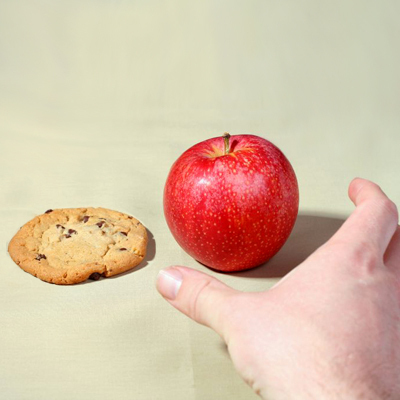 You do not want a BIG snack that will add calories to your diet and you do not want your snack to over power your next meal. A snack is there to allow you the chance not to get hungry between meals and it allows you the chance to give your body some fuel to help keep you going and to help you keep burning calories throughout the day. 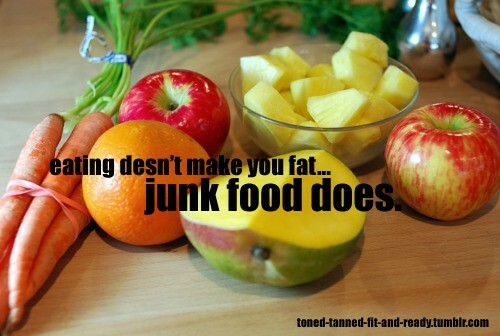 So be mindful of the snacks you purchase and consume during your health and fitness journey! Need more snack options? Please check out some of my past post that give you TONS of healthy and quick snack options for you and your family! When cooking meals at home you have to also be mindful of HOW you are cooking them! Just because you buy healthy food…you also have to cook it so you do not add more calories! Tired of trying the same quick snacks that you have gotten accustomed to eating? Well no worries! 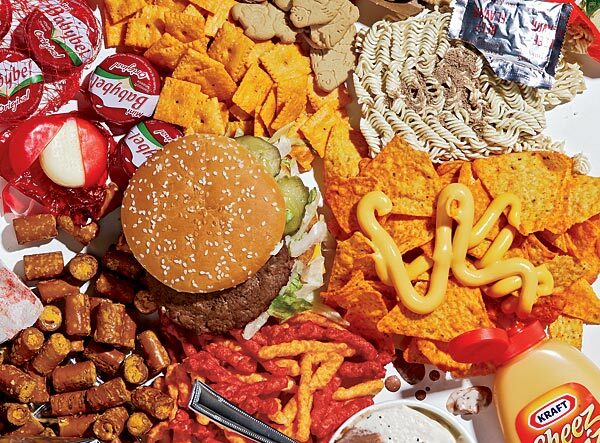 There is a WIDE variety of snacks that you can try that are not expensive, quick to grab, and yummy that will satisfy your cravings until your next meal! These are some good snacks that you can keep in your purse, desk, or lunchbox that you can snack on to help keep you on track with your healthy eating habits. Thanks to SixSistersStuff.com for some of these suggestions! Be sure to check out http://rxsportz.blogspot.com/2007/12/40-quick-healthy-snacks.html for some more healthy snack options! So there should be No excuse as to why you can not snack on HEALTHY things during the day as opposed to a bag of chips of your favorite candy bar. Those are good to have every once in a while BUT if you want to reach your health and fitness goals you have to dedicate yourself to eating things that are beneficial to your body. Any day is a great day to start obtaining your own health and fitness goals!! Don’t forget to LIKE us on Facebook! Free giveaways to start soon!! Over 2 years ago I made a pledge to myself to give up ALL fast food. 1) To save money! After calculating how much I spent each month on fast food that was DOUBLE my budget for my grocery bill! I learned to plan out my meals, make a menu, and stick to my monthly budget and it has helped me save HUNDREDS of dollars each year. 2)To eat healthier. 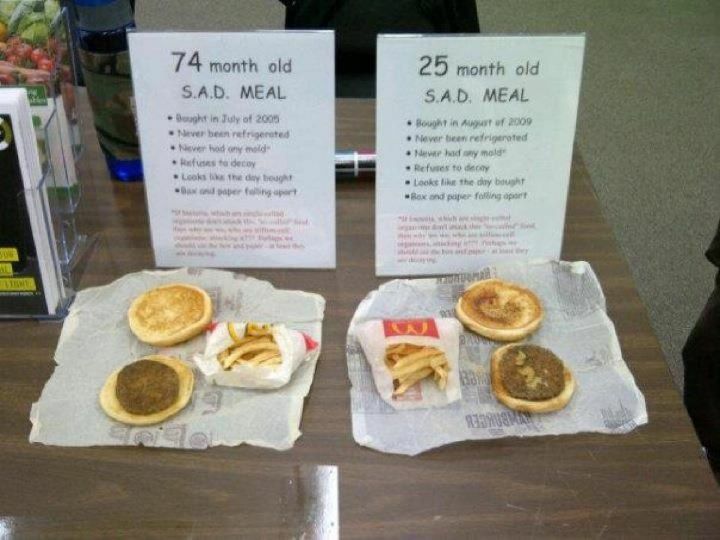 I am not saying that fast food places do not have healthy options for you. Now they have done a great job at having alternative to offer families instead of the usual menu items. Like offering fruit instead of fries. Or having milk or juice instead of carbonated beverages. They have done a great job over the years to add some healthier options to their menus. But, for me, I felt that the variety of things that the grocery store was better and most cost-effective for me than going to grab something at my local fast food place. 3) To help me learn what I need to eat and to be more mindful of the things that I put in my body. Since then I have gotten leaner and gotten better results physically. Not having the luxury of just driving up someplace and getting food has made me actually think about what I want and what I need to eat on a daily basis. I have adopted a much healthier eating habit not to mention I have saved money! 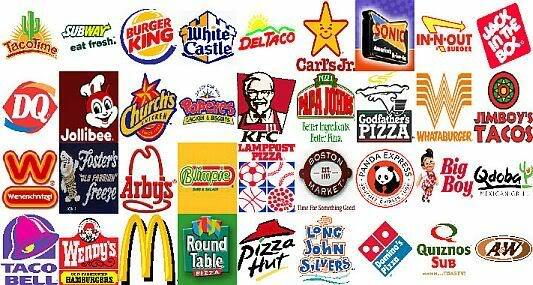 There are tons of articles and studies on how “healthy” some of the items fast food places sale to you. And yes most of them are true. 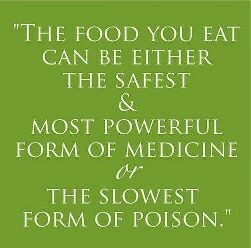 Hence why it is better to take your own pledge to limit or cut out fast food from your diet. You do not have to quit cold turkey! And like I said before, they do have some healthier options on the menu. But make sure that the healthy option is not tainted with double ranch dressing or with other things that will help diminish its healthy intentions. You have to learn what is on the menu, how much of it you can have, and what to add/take away to keep that healthy meal within the “healthy meal” range. One of the most important things about starting on a new health journey is know what is the right and wrong things to eat. And the things in the image above are the WRONG things to consume on a regular basis. I am not going to lie to you and say that I do not enjoy a nice burger. But I enjoy that burger every once in a while. You have to learn what you need on a regular basis and what you can have in moderation. Each fast food restaurant should have a “Nutritional Facts” guide posted in their store or on their website (and to be honest most regular restaurants are starting to have them as well). It would be smart to look at them before you go to get your food so you can have in mind what are the best things and the worst things they have on their menus. It is wise to NOT super size/enlarge your meals when asked. Also, limit the kind of condiments that you use on your meal. Even though Buffets are good for your pocket-book it is best to stay away from them! This is just a sure way for you to overeat, or eat several plate full of items that should be eaten in moderation. If you do go to a buffet try not to go up for seconds. Try to know what is a good portion size and make sure to get those portion sizes when you go up for your first entrée. And if you are still hungry, drink some water and wait a bit until you make your second trip. Sometimes it takes a little bit for your brain to realize that you are full so waiting will allow your food/drink to settle and for you to realize if you are truly full or not. There are some more great tips in THIS article that will help you when making your fast food decisions. Hope that this was a great tip to get your guys through the weekend! Happy Friday! And do not forget…ANY DAY is a GREAT DAY to start being healthy! Please LIKE us on Facebook! Free Give-away to start soon! Tagged eating healthy, fast food diet, give up fast food, Healthy fast food, healthy lifestyle, infinite fitness, infinite life, infinite life fitness, is fast food healthy? These type of words are used to help grab your attention and to help you think that they are indeed the healthier option for you. In most cases it is “healthier’ than the regular product that they sale. But is that product good for you to eat in the first place? It contains monounsaturated fat. This is the “good” kind of fat that you can have in your diet. Most of these types of products that are made to be “reduced fat’ are jammed packed with MORE sugar! And, in most cases this sugar is HIGHLY processed which makes it not as good for you. So how is it “reduced fat” with more sugar? great question!! Eating an excess amount of this kind of sugar has been proven to cause tooth decay and lead to unwanted weight gain. Both regular and reduced fat peanut butter carry about the same amount of calories. The biggest and most problematic issue is that the reduced fat usually contains a lot more sugar. It is safe to steer away from store-bought and try to get all natural peanut butter in this case. There are all natural organic peanut butters available (or almond butter). You can also find these items for a great price if you look around and maybe consider purchasing it online. To be honest it is not good. They have been given the reputation for being healthy and a healthy option for breakfast or a snack. These are jammed packed with sugar and refined flour. Two things that you should try to limit in your diet or steer clear from it. Yes it does contains a small amount of fiber, but other than that there is actually minimal nutritional value in bran muffins. This is a quick and easy meal option and is filling. It is great to have on the go! First of all it is just a lot of bread to consume at one time for one meal. It has about 60 grams of carbohydrates and could also have MORE than 300 calories. And that is without the cream cheese or jelly most people pile on top of both slices of their bagels. Again items like this are made with the over processed flour you should shy away from and of course corn syrup. It also has minimal nutritional value. So it is wise to have only one 1/2 of the bagel with eggs or some other kind of substitute to increase nutritional value and to get more nutrition with your meal. You always want to reach for the 100% whole grain or whole wheat options when it comes to bread or pasta. It is better for you and has more nutritional value than regular “white” bread or pastas. They are packed with oats, nuts, dried fruit, and can also contain seeds. All of these are indeed good for you! So why would you think negative about a snack containing all of these things? Granola Bars are not as good for you because of one simple thing…the “glue” that holds the granola together to create that delicious granola bar you like to snack on. That glue is nothing more than high-fructose corn syrup. All this does is quickly increases your blood sugar which in returns limits how you actually digest the oats and nuts and other healthier things that are in the granola bar. Along with the high sugar content comes the high calorie count. You can quickly substitute this for good ole cheese and crackers! and this packs a whopping 150 calorie snack! Yogurt is high in nutrients. It also contains active cultures which are great for digestion and your immune system. Despite the high calorie count, this too is packed full of sugar! And yes that preserved fruit in the high fructose corn syrup mixture is not any better for you either. Try plain yogurt with you favorite FRESH fruit (or thawed out frozen fruit that was not preserved in syrup). It is a healthier options not to mention cuts down the calorie count dramatically! It is a healthier option that potato chips. Not to mention that there is a low-fat content in each serving size. These are nutritionally empty! They don’t have a big nutritional value at all. Not to mention all the sodium that is packed into the salty seasoning covering every small piece of the pretzels. Not to mention it too is made of the over processed flour that should be limited in your diet. Try to find a whole wheat or whole grain option. You can also substitute pretzels for other things such as vegetable, fruits, or even a handful of nuts. With the help of this article, I hope this gave you an insight on some food to watch out for the next time you go to the grocery store to buy your food. Stay tuned for part two! There are dozens of food on grocery store shelves masked as “low-fat” or “healthy” when they indeed are not as healthy as you think they are. Today is Monday. Today is YOUR day. Start eating right, start working out….You CAN do it!!! So now you should try to be Determine, Discipline, and Dedicated! If this 70-something year old lady can do it so can you! As promised here are some new recipes that you can try! 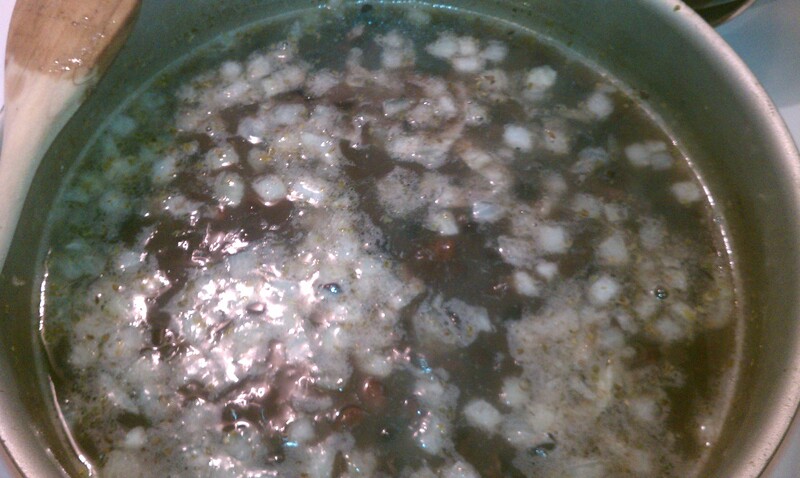 What I personally like to do is to cook a few different things over the weekend or over the duration of the week. 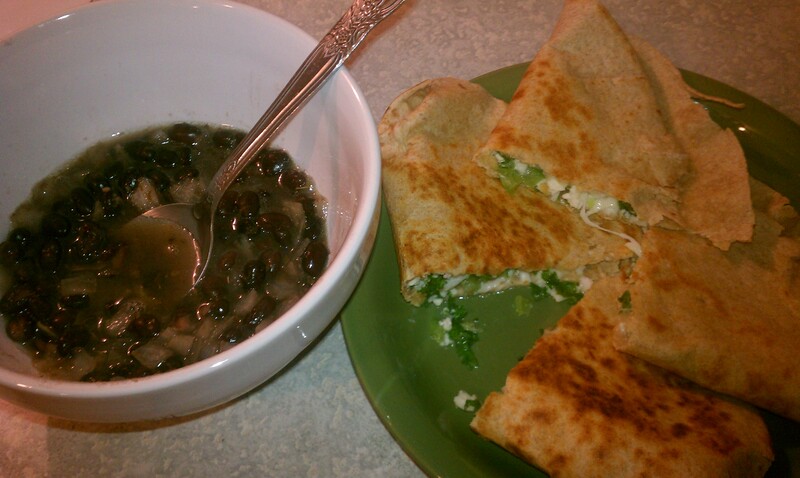 Then I will have several different left over meals to choose from when it is time to eat. I like this method because it allows me to cook and try out new things as well as cook food for the week. I know that sometimes my schedule gets kinda hectic, so it is nice to have the meals already made and waiting on me in the fridge so I can go home and grab it and go. This method allowed me to better plan my menus and to plan a variety of food options for me. I gave up fast food several years ago! Yes…its true…I have not eaten any kinda if fast food in over two years and i did made the goal at first to force myself to make better meal options and to help me budget and save more money. I calculated it and I saved over $600 a year by cutting out fast food and setting up my menus and grocery budget. 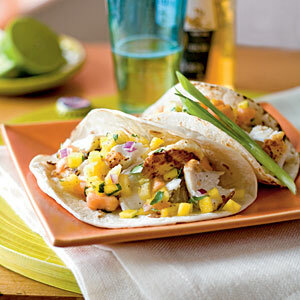 Here are some great Lunch and Dinner recipes. I included photos that I took when I cooked these items to help you get an idea of what it looks like. You can alter and add/take away ingredients that you do not like. But I will have to say, these meals are very delicious! 2. Cook, stirring occasionally, for 10 minutes. 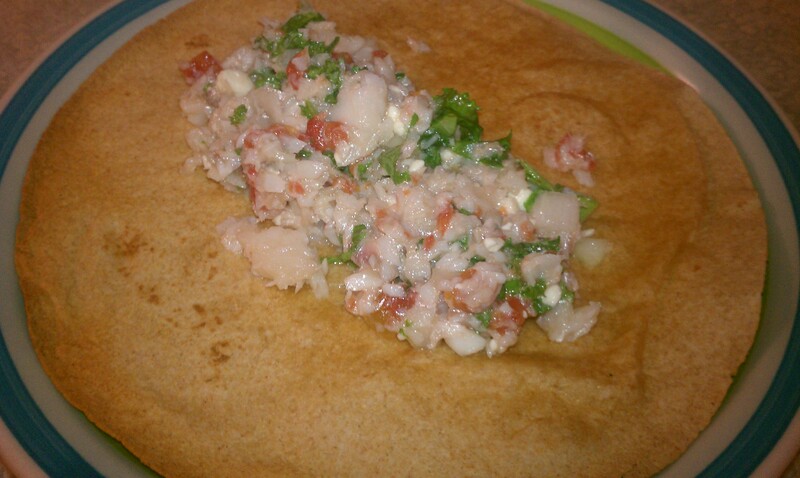 sprinkled with feta and cilantro (optional). 1. Place kale and water in a microwavable dish. ***NOTE***  I combined the above to recipes for one meal! Here is the picture. 2. In medium bowl, mix spinach, cream cheese, Parmesan cheese, 1/2 teaspoon basil and the garlic until blended. 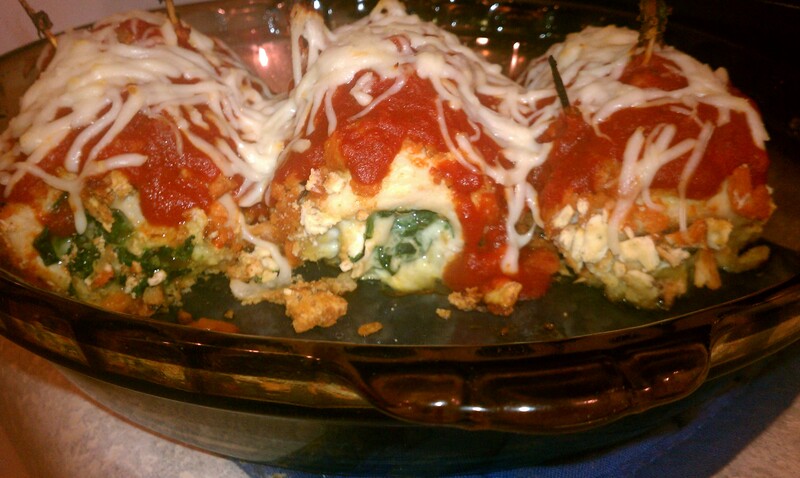 Spread about 1 tablespoon spinach mixture over each chicken breast; roll up tightly. If necessary, secure with toothpicks. 3. In small shallow bowl, place egg product. In another small shallow bowl, mix cracker crumbs, 1 teaspoon basil and the pepper. Dip each chicken breast into egg product; coat with crumb mixture. Place seam side down in baking dish. 4. Bake uncovered 20 minutes. Pour pasta sauce over chicken; sprinkle with mozzarella cheese. Bake 10 to 15 minutes longer or until thermometer inserted in center of chicken reads 165°F. Remove toothpicks from chicken before eating. Hope you enjoy trying out these recipes. Keep looking for more and have a great weekend. Click to follow this blog and receive notifications of new posts by email. I would love for you to get post/updates as soon as i post them on the site! Sign me up for Infinite Life Fitness!